Welcome to Roadside Peek Pacific Northwest. This section of Roadside USA will treat you to samples of the best of ... the Pacific Northwest. The Pacific Northwest is an interesting area when in search of roadside icons. See some of them here at Roadside Peek's Roadside Americana Pacific Northwest. The roadside becomes a whole new world when dusk settles and the neon starts buzzing. 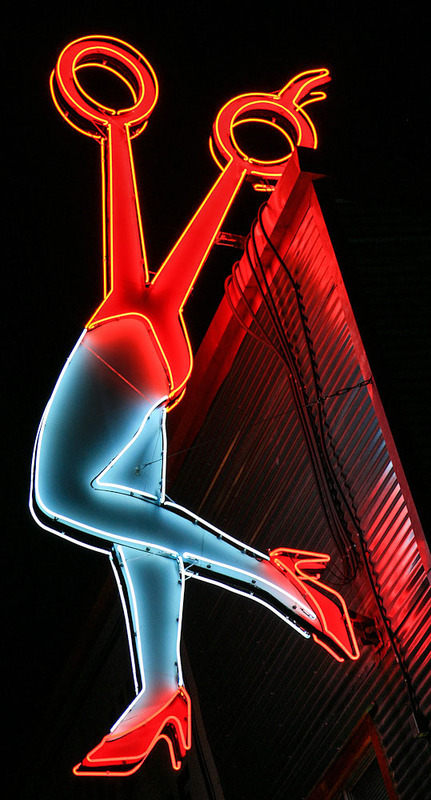 Check out the neon sights of the Pacific Northwest here at Roadside Peek's Roadside Neon Pacific Northwest. 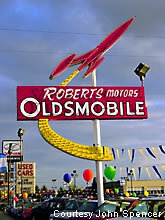 Roadside signage can be an eye-catcher to the passing motorist if done right. See some here at Roadside Peek's Roadside Signage Pacific Northwest. Hungry for some good food at an interesting locale? Well, check out a few sights that at least have unique signage here at Roadside Peek's Roadside Eateries Pacific Northwest. Looking for a place to stay? 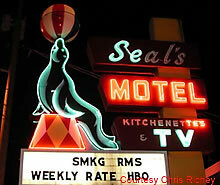 Can't vouch for the accommodations here, but the signage is great at Roadside Peek's Roadside Motels Pacific Northwest. 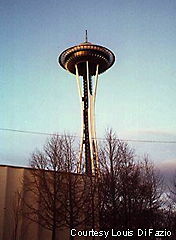 The Pacific Northwest is also home to many a grand theatre. Check out some of them here at Roadside Peek's Grand Theatres Pacific Northwest. 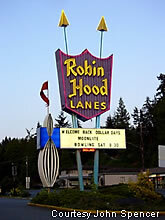 The Pacific Northwest is also home to vintage bowling alleys as seen here at Roadside Peek's Ten Pin Alleys Pacific Northwest. 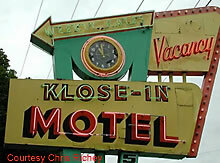 Check out the roadside themed architecture of the Pacific Northwest at where else but Roadside Peek's Roadside Architecture Pacific Northwest. Auto dealerships can be a visual throwback to the days when autos meant adventure for the first time. 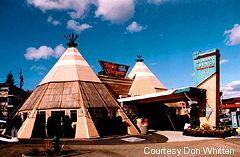 See some of the auto themed sights of the Pacific Northwest at Roadside Peek's Automobile Alley Pacific Northwest. The old tyme buildings from back in the day can still be found at Roadside Peek's Retrolook Pacific Northwest. The open-air drive-in theatre is a fond memory for many. There are still some to be found, both open and closed, at Roadside Peek's Drive-in Theatres Pacific Northwest. 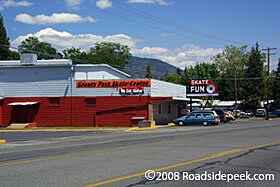 The Grants Pass Skate Center in Grants Pass, OR features a great sign outside advertising "skate fun". Check out this skate center and others at Roadside Peek's Skating Rinks Pacific Northwest.